We did a much needed trim of the hedges this weekend. 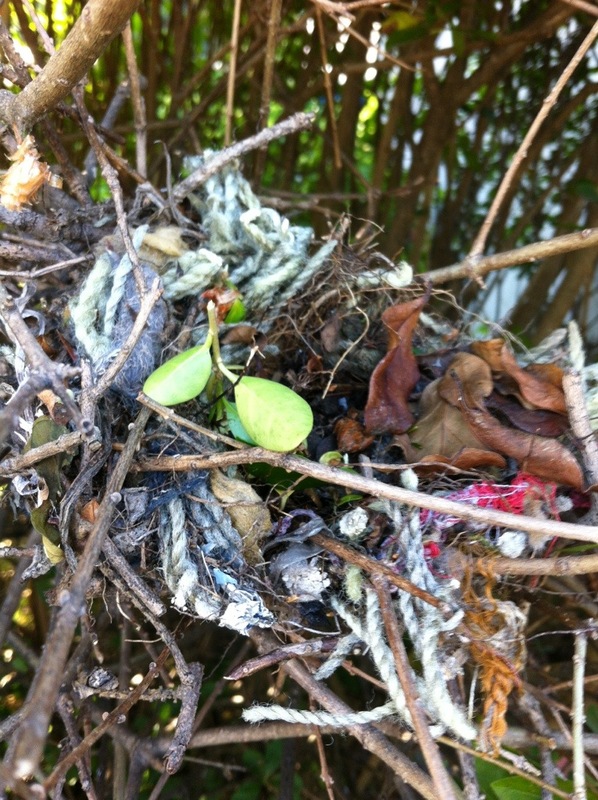 Buried within one, a mockingbird nest, appropriate for my house. It was all made of old yarn, duct tape, tinfoil, shiny yet worn looking. This bird pair were truly up-cycling. This entry was posted in Uncategorized and tagged Rebecca siemering erik goukd photography pawtucket sale by rebeccasiemering. Bookmark the permalink.